Sporting a newly developed 20.2 megapixel full-frame CMOS sensor, the Canon 6D is the company’s lightest and most compact full-frame camera yet, similar in size to the Canon 60D. The 6D also features a new 11 point autofocus system, featuring Canon’s most sensitive AF sensors to date, capable of locking focus at -3 EV i.e. in very low light! Also new and unique to the Canon 6D, is built-in WiFi and GPS, which no other DSLR on the market currently features. 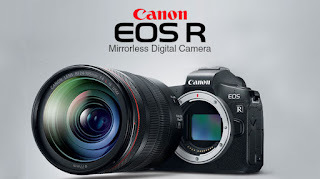 With the included WiFi connection, photographers will not only be able to wirelessly transfer images to a computer, but will also be able to control their DSLR with a new EOS Remote app for iOS and Android. In addition, the built-in GPS will geotag every photo you take without the need for an external accessory.